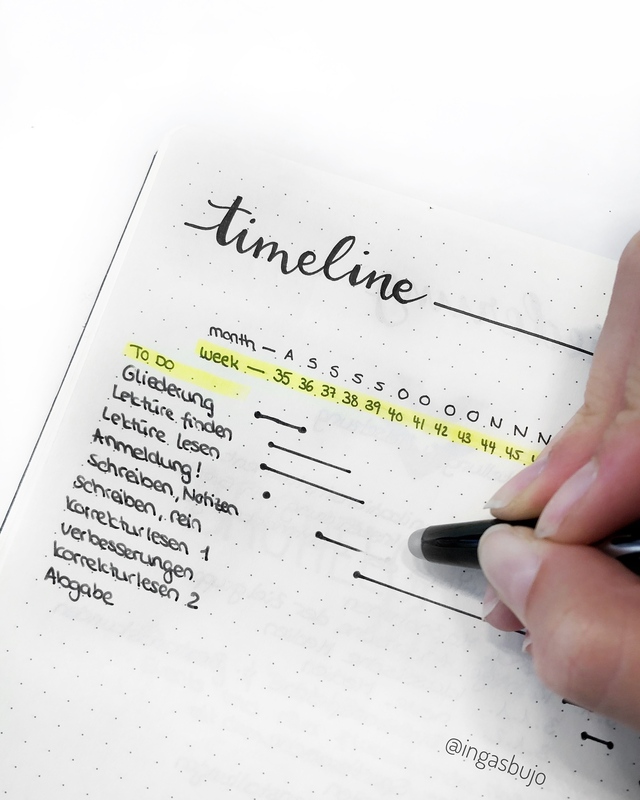 Diesen Post kannst du hier auf deutsch lesen. I don’t want to start on about doctors appointments and how I forgot important events…. Thats how my student life looked like in the past. To whom does this look familiar? 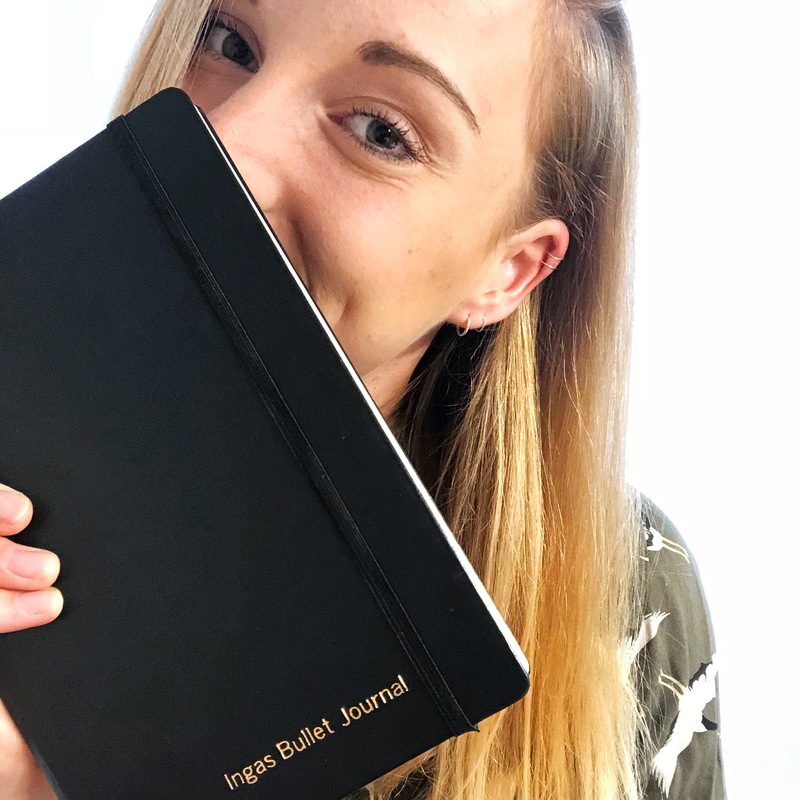 Without my Bullet Journal I’ve been an organisational failure. I forgot appointments and didn’t know with whom I worked in which group about which subject. Every evening before Uni I had to check on my schedule online to see when my first lecture’d start in the morning, otherwise I would have just slept in – everyday. I can tell you: pure stress! 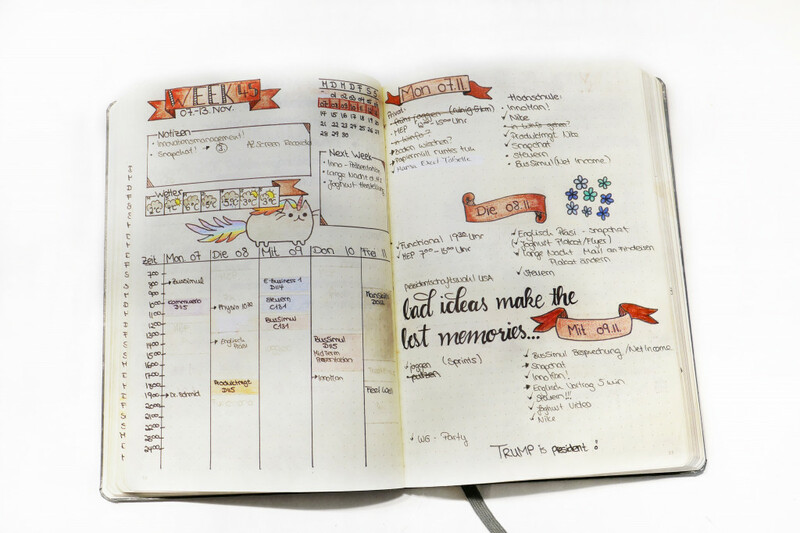 And that’s the reason why I wanted to start a planner for the new semester. But one I would actually use and write in – not one that was just lying around on the desk getting dusty. 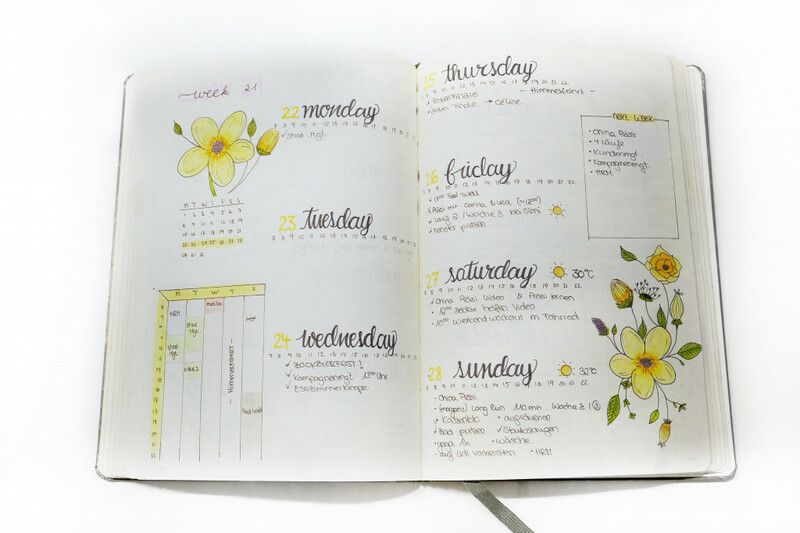 Back in school I had a lot of ‘normal’ planners: one page a day, divided in hours or empty pages, one week on two pages, one page with a schedule, and believe me, I’ve tried many more layouts but I’ve never sticked to them for longer than 2 or 3 weeks. I’m using my bullet journal for over a year now and just started my third notebook. But let’s have a look at those spreads that saved my student life. Firstly I wrote down all the subjects which I’d occupy. I added how much they counted in our credit system. Another gap for date of the exam and the type: written or presentation or both? 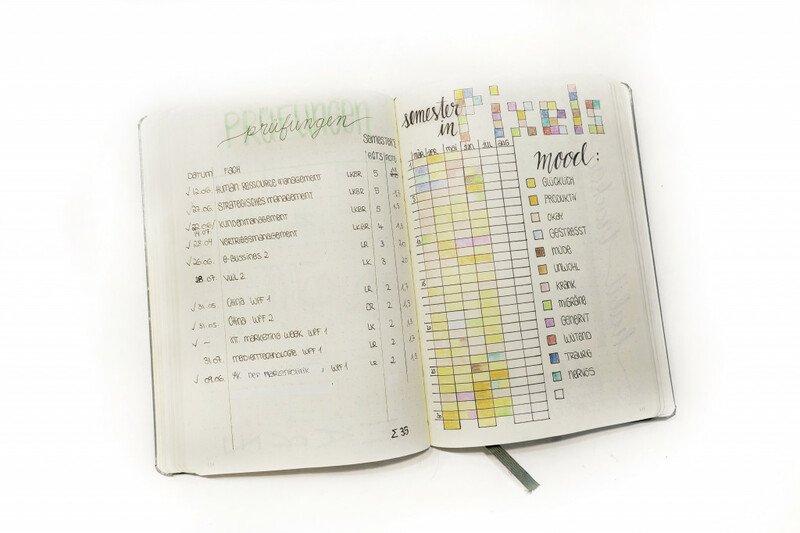 Then one last slot for the grade – and my exam tracker was ready to use. With this tracker I didn’t just see at first glance the date of exam but also how ‘important’ it was in the overall rating. Because I have a lot of presentation exams in my degree course, I had lot of group works. Some of those groups we could decide the members for ourself but for some subjects the groups have been decided by our teacher or drawn lots for. That’s why my co-group members have been different in every subject. I had a lot of trouble with remembering my group members and the subject topic we had to work on. 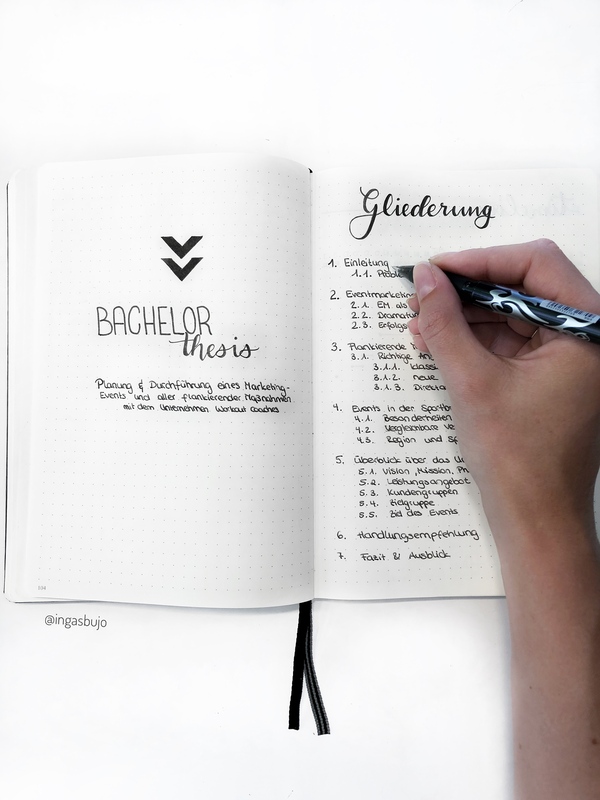 That’s why I made a little group-work-spread in my bujo once all groups have been formed. I wrote down the subject, theme of presentation and all the group members. There was still the problem with my ever changing schedule – because there have been a lot of single lecture dates. 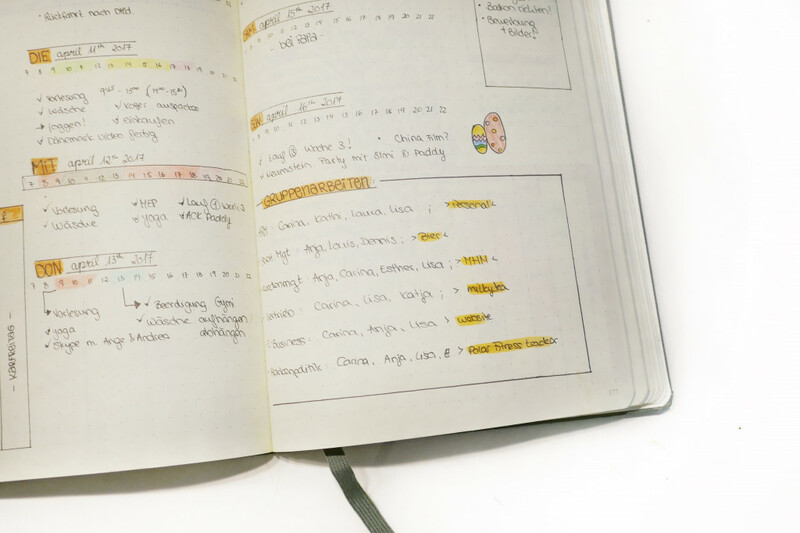 I drew my schedule on the first page of my weekly spreads and wrote down all of my lectures. After a while I added working hours and fixed dates like my sports course I wanted to attend. I had an overview of free time which I could use for group works or meetings with friends etc. Over time those schedules developed, as well as my weekly spreads changed. I started with almost a whole page for one schedule – now I just need a little corner of the page. 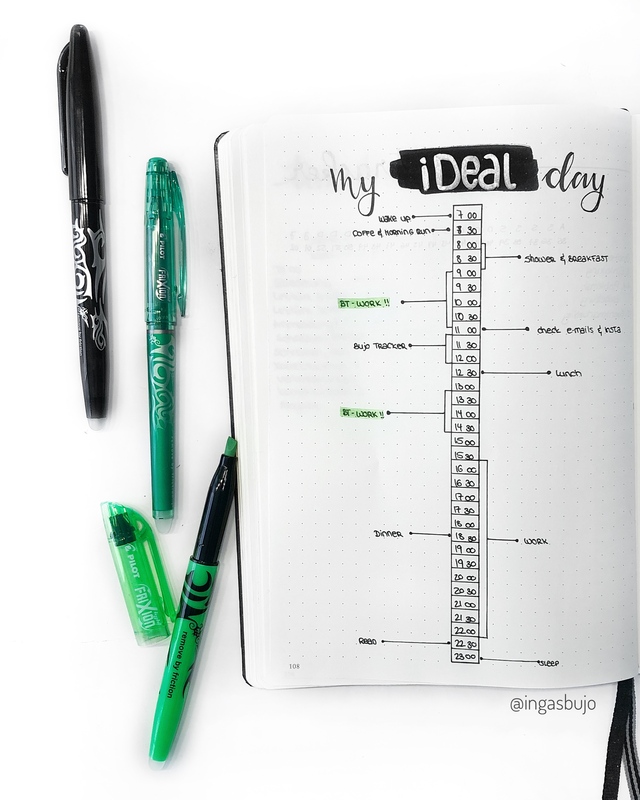 Here I’m using it together with a time ladder for my daily spreads. 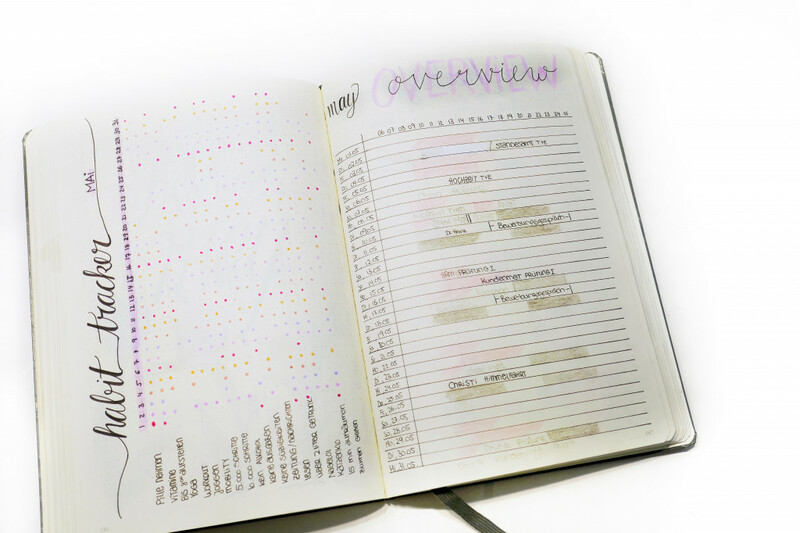 On top are the hours of the day, vertically you can see the days of the month. 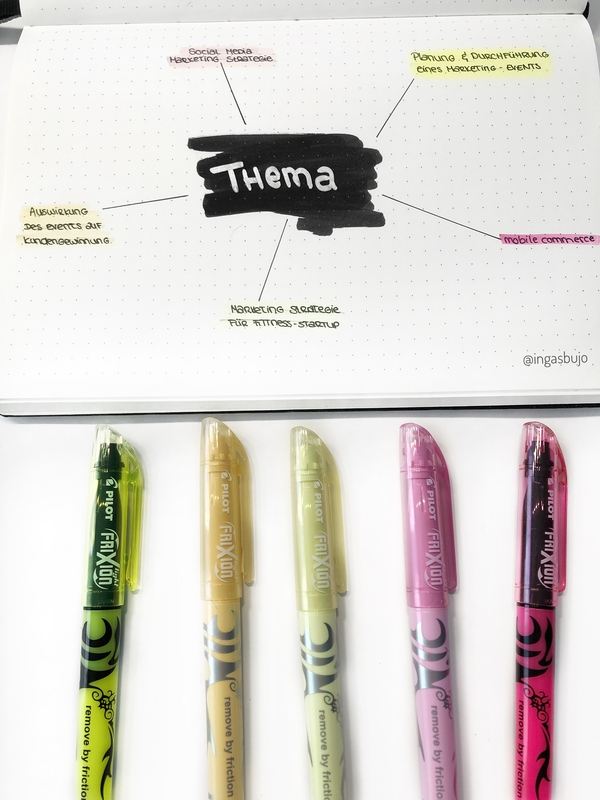 I used different colors: black for work, rose for lectures and pen for group work, events or appointments. 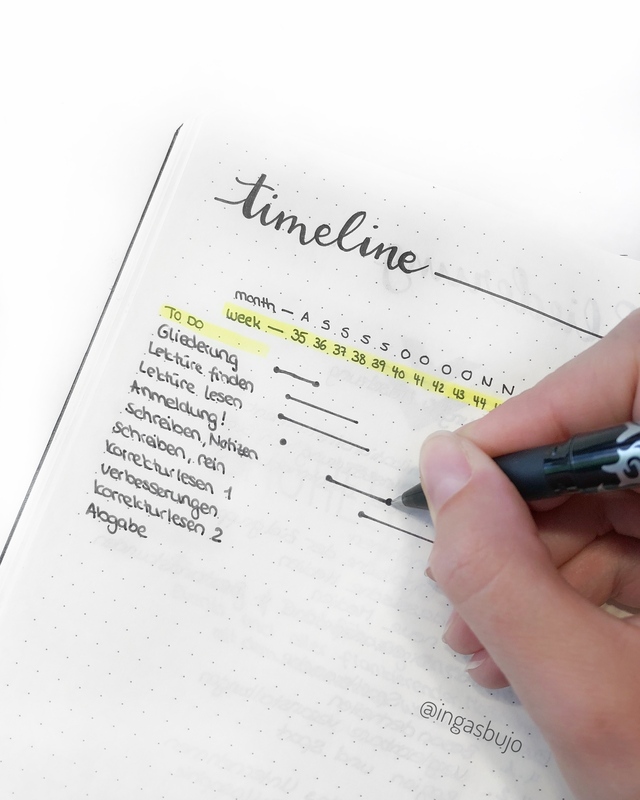 Of course I have a future log as many other bullet journalers do. I created it for one semester – or 6 months. 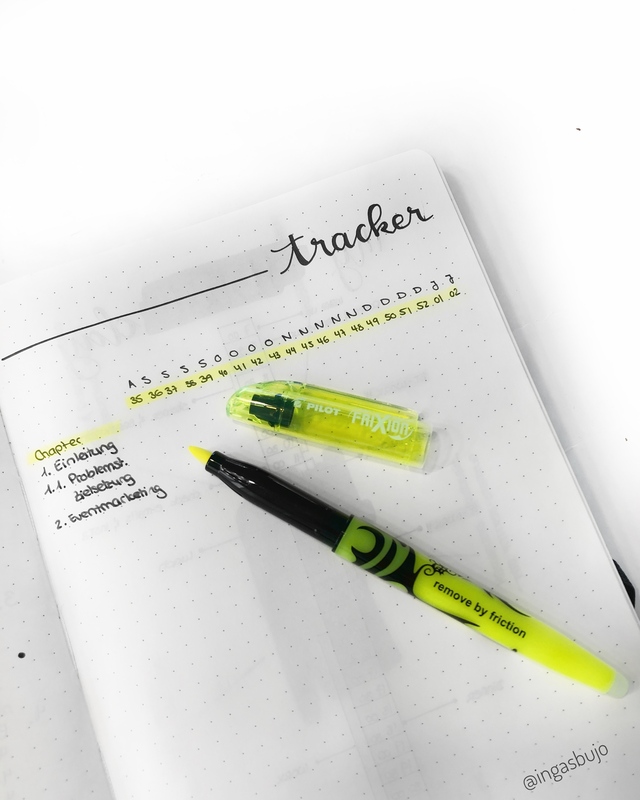 I used it to write down events or important dates like birthdays and I also noted my exam dates. 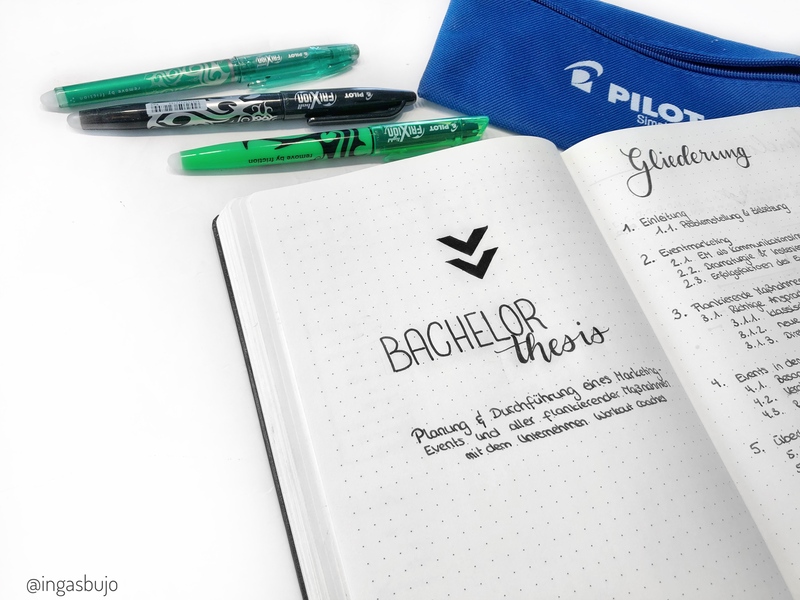 I hope I could give you a little insight in the planer world of a student and perhaps help you out with some problems. 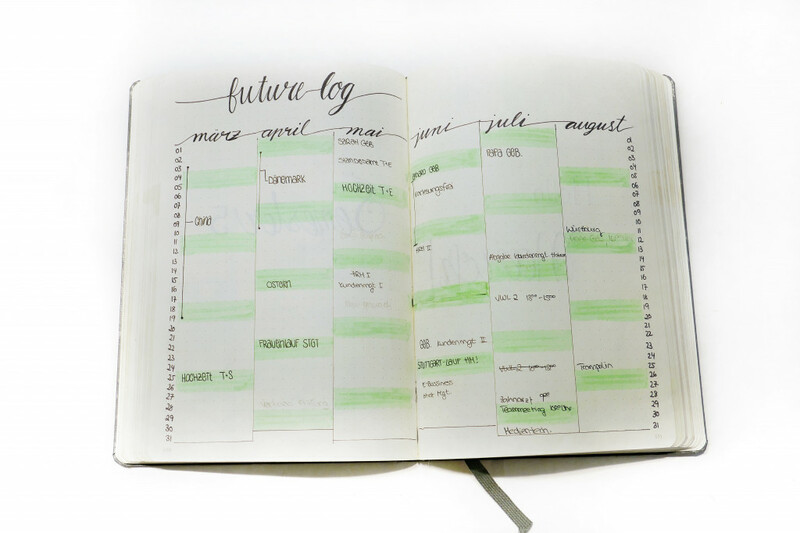 How do you plan your time as a student? Do you have as much group work and presentations in your degree course as well?